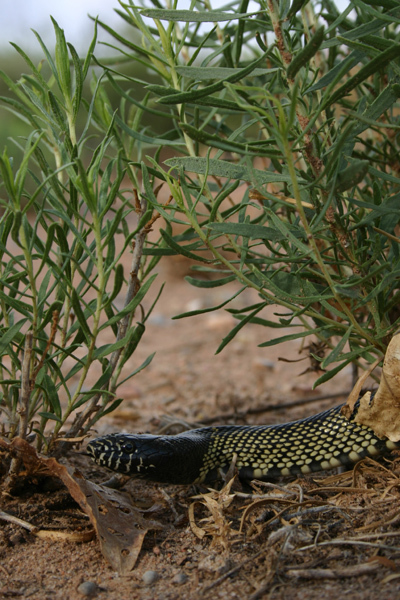 A Desert Kingsnake (Lampropeltis getula) observed in Socorro County, New Mexico. 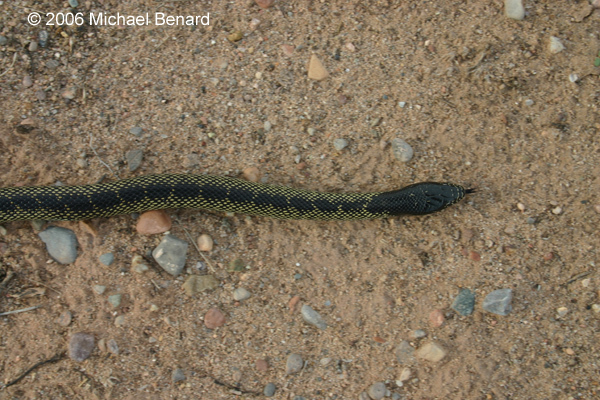 Kingsnakes are a geographically widespread species that range across much of North America. 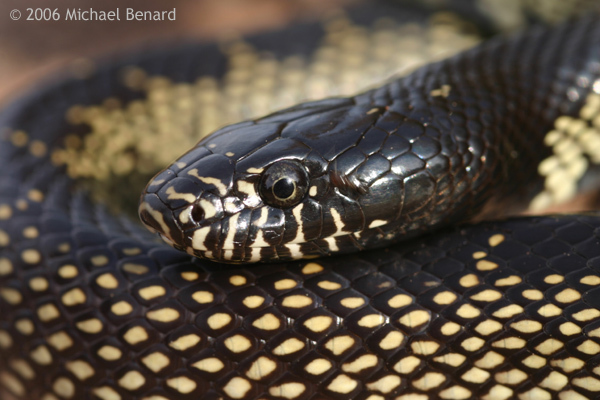 While kingsnakes are generalist predators that eat prey including lizards, birds, and mammals, kingsnakes are best known for their ophiophagous habits.